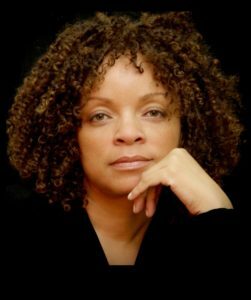 We’re excited to honor Ruth Carter on December 6th! HELP USA will honor Ruth E. Carter at our annual Scholarship Awards Luncheon on Thursday, December 6th at Cooper Union in New York City. Carter’s unparalleled ability to develop an authentic story through costume and character has made her one of the most sought after and renowned costume designers today. As the first African-American to be nominated for an Academy Award in Costume Design, she has garnered two Academy Award (Oscar) nominations for “Best Costume Design,” for Spike Lee’s MALCOM X (1993) and Steven Spielberg’s AMISTAD (1998) as well as an Emmy nomination in 2016 for the reboot of ROOTS. She has worked in the industry for over three decades and has been credited with over forty films and counting. Ruth is known for her research and diligence to the craft of costume design, specifically for her outstanding work for period ensemble films such as the highly praised Lee Daniels’ THE BUTLER, Ava Duvernay’s SELMA and MARSHALL, directed by Reginald Hudlin. She continues to receive critical acclaim for her work on Marvel’s BLACK PANTHER, which premiered in February 2018. Current projects include YELLOWSTONE, a television series starring Kevin Costner, the Netflix film DOLEMITE IS MY NAME, starring Eddie Murphy, and the FOX series COSMOS: POSSIBLE WORLDS, premiering in Spring 2019. The Scholarship Awards Luncheon will provide cash scholarships to survivors of domestic violence to help them pursue their personal and professional goals. It will also help support HELP USA’s services for people experiencing homelessness, including programs for survivors of domestic violence.